People are busier than ever, and we live in a world that has been changed forever by the impact Amazon has made on home delivery of all manner of goods. Postmates, TaskRabbit, Instacart––today’s consumers want what they want, and they want it delivered. Box subscription services have been trending upward for nearly ten years. Subscription boxes combine a desire for curated goods with the convenience of home delivery. In most cases, the subscription is delivered at agreed upon times with items that either the customer has selected specifically or have been selected for the consumer through the use of a survey. Let’s take a look at some businesses that have mastered the subscription business model and are winning the subscription game. Box subscription services are incredibly diversified these days, but some of the best sellers are topping the charts in the beauty category. The box that started the craze in 2010, Birchbox, is still hugely popular. It sends sample beauty products for about $10 a month for the women’s subscription and $20 a month for the men’s subscription. Currently, it has more than eight hundred thousand subscribers worldwide. Dollar Shave Club is a similar service, except that it sends shaving products for $3 a month. And four times a year, Fab Fit Fun ships a combination of beauty, fitness, and wellness products. The boxes are seasonal and cost $50 each or $180 for the year. Another thriving subscription category is food. Blue Apron is one of the most recognizable brands with its four times a week delivery. Hello Fresh is another top food box subscription service. Like Blue Apron, Hello Fresh provides the ingredients and instructions for home chefs to make their own meals at home. For the snackers out there, Naturebox ships healthy snacks options on a monthly basis. Subscription box services aren’t just about consumables. There are many that cater to hobbies or collectibles, such as Freedom Japanese Market, a monthly box of Japanese candy and snacks. For the dog lover, Barkbox sends toys, treats, and products curated for your type of dog and your lifestyle. And Lootcrate sends limited edition collectible and memorabilia for those who love nerd/gamer/comic book culture. 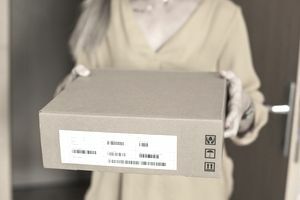 Now that we’ve talked about many of the variations of subscription box services that are doing it right, it’s time to take a good hard look at your own products to see if they were fit into this business model. Let’s start with a few questions. Is there a demand for regular delivery of your products? For instance, products that don’t require regular replenishment don’t do well in subscriptions. Think snacks rather than snow tires or makeup products rather than a lamp of the month subscription. Which niche would your subscription live in? Who are your competitors in that space? What are their strengths? What are their weaknesses and how can you fill that gap in the market? Remember that there’s a psychological component to these boxes. There is a thrill in the anticipation of what they’ll receive. It’s not just the actual items, either. It’s the presentation of those items, including special notes with marketing copy or packaging. Many brands create an unboxing video for each shipment and use it as a marketing tool. Can you curate your products and put them together in a way that elicits excitement from your customers? Fulfillment is everything in a box subscription service. You will be delivering these boxes to the consumers at regular intervals. You will need to factor in the costs of packaging and postage. Do you have the infrastructure to put together your boxes or do you need to hire extra employees for that division of your company? Or is more cost effective to contract a third-party service for fulfillment? And what will these considerations do your profit margin on the service? If all of these questions made you think twice about going into the subscription box business, good! Not every business converts well to this business model. For those who don’t see themselves taking on the added expense and work of starting their own service, consider pitching your product to an already established service. You will get the benefit of exposure to their market while testing out how your current offerings fit into this business model.